Facebook Marketing Strategies: Facebook Advertising works pretty well considering the huge membership strength of over 500 million users on Facebook and it's targeted traffic strategies which could also put holes in anyone's pocket if not driven with caution and proven marketing techniques likewise any other Pay Per Click advertising [PPC] network. huge number of people(audience) in millions you may be reaching. The more you narrow your ad targeting even to about 20,000 to 50,000 audience the better targeted results you'll get with low bidding less than $1 depending on your Niche keywords. Create different ad groups to tweak and test between Cost Per Impression(CPM) and Pay Per Click(PPC) or use both ad campaign strategies to actually measure your results. Do not forget to put track to your ads to know how far and well they're doing. It's amazing how putting this to work will save you lots of money with great results. Ad Copy: This is very important if you must get increased clickthroughs that convert. Your Ad Headline should be powerful enough(containing searched term or keywords) to pull attention of viewers to click at your Facebook ad; it's a busy world. Followed by 2 - 3 lines as ad description. Be specific with your ad copy. Benefits of a Facebook Fan Page: Consider setting up a Facebook Fan Page of your person or businesses even both. (It is free!). Setup an ad group in your ad manager panel specifically for your Fan Page(s) and promote it on this same platform; it got lesser ad bidding and better rewards. A similar county "Making Money Online Facebook Fan Page" amongst others on the Internet could go so viral beyond anyone's imagination as people keep LIKING to access information made available on a Fan page and participate on the same. 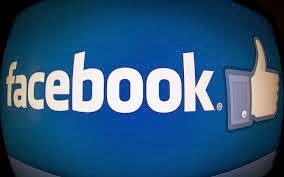 Make your Facebook Fan Page a resourceful and delightsome page. I've found it quite helpful and responsive in Facebook marketing. Yet another way to build quite a responsive online list with it's fans as members of the page. Do not spam the online communities. It stinks and could hurt you badly with the recent innovations in Technology. Learn the rope, it's easy if you're willing to and start implementing the same. We value your comments, questions and vote. You're welcome. The availability of pay per click(PPC) and cost per impression(CPM) on facebook marketing solutions are best when combined with your product fan page and direct website ad campaigns. Group them, and remember to always put a track performances of your various ad campaigns.